Are You Socially Plugged In? Southern Accents, realizing the important role social media now plays in marketing and communication, has worked really hard over this past year to build a presence via a variety of social media outlets. While most of you are probably familiar with social media, some of you may still be hesitant to jump on board! We would like to introduce you to the various outlets that we are using, familiarize you with how we are using them and encourage you to “plug in” and follow along with us! Newsletter – Our primary source and best method of communication is through our weekly newsletter. Our goal is to provide a variety of interesting content that will entertain, educate, enlighten, and encourage our readers. We appreciate all the feedback that we receive and encourage you to share our writings with others. If you are a new subscriber, you can view back issues online by visiting our Newsletter page. Blog – Each week we take the main content from our newsletter and post it to our blog. At times we will expand on a story or add additional photos to the blog post. With our blog, we have created a searchable database of information related to architectural salvage. Many of our stories contain historical data that is now publicly recorded for future use. We encourage you to subscribe to our blog. It’s easy… just visit the blog, scroll down and look for the “Follow Blog via E-mail” on the right hand side. Add your e-mail address and click the “Follow” button. Facebook – Although Facebook has made many changes over the past year that has directly affected our ability to communicate with our followers, Facebook is still a driving force in the social media market. We use Facebook to alert our followers to new architectural and antique finds as they are added to our showroom. We also share DIY and decorating ideas, local events, and more. There are a few things you can do to ensure that you see our posts. 1) Go to our Facebook page and mouse over the like button. Check “Get Notifications”. 2) You can also mouse over the like button and click on “Settings”. You can then select “All Updates”. 3) Mouse over the like button and add us to an “Interest” list. It can be an existing list that you have already created or you can create one just for us! Pinterest – Pinterest is an online “pin board” that allows us to post and share our own original pictures and ideas as well as ideas from all the incredibly talented and creative folks who are finding unique ways to repurpose salvaged goods. If you love salvaged goods as much as we do, we encourage you to visit and follow our boards. Pinterest is a great resource for DIY enthusiasts! Twitter – We use Twitter to send out short notices and reminders of events that Southern Accents is involved in. We also “tweet” about new arrivals to our showroom. If you are a twitter user please follow us! We don’t want you to miss a thing! We appreciate our customers. You allow us to continue to do what we love: rescue, restore and protect architectural elements of historical significance. Follow us online or visit our showroom! We are open Tuesday – Friday from 9am to 5pm and Saturdays from 10am to 4pm. Closed Sunday and Monday. When entering Southern Accents showroom, the first thing that may catch your eye is the sparkle of a crystal chandelier hanging from the ceiling, the row of beautiful wood doors neatly lined down the center aisle, an ornate mantel sitting against the brick wall, or perhaps our bright red antique Coca-Cola machine waiting to greet thirsty customers. What you don’t see in our showroom has become a very large part of our business, our salvaged wood. Travel one mile from Southern Accents showroom and you will arrive at our wood warehouse. In what was a basketball gym in the 1960’s, now houses a huge collection of reclaimed wood, trim, and beams. Salvaged wood is highly sought after for a wide variety of uses. While the bulk of what we sell is used as flooring, much of it is also used to build doors, furniture, stair treads and various DIY projects. Beams are turned into rustic fireplace mantels and salvaged barn wood skins are used as wall and ceiling coverings. Odd pieces are quickly snatched up by DIY enthusiasts who always have that perfect project in mind! The question, “Where do you get all of this wood?” is one that we hear often. All salvaged wood is wood that has been rescued from buildings that have been slated for demolition for a variety of reasons. 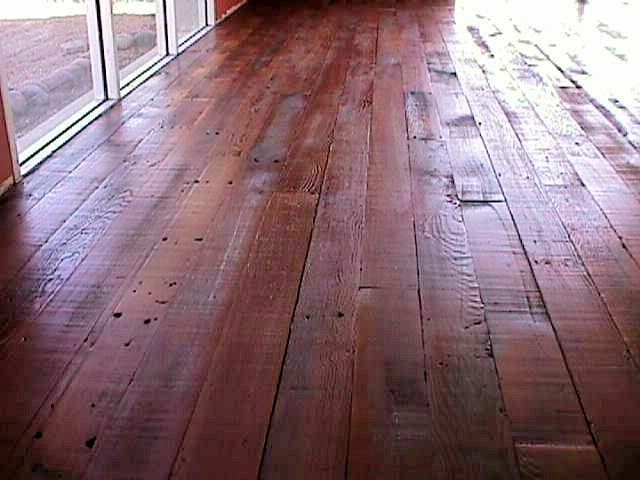 Some of the wood that we acquire comes from a house or barn that we salvage ourselves. Much of the wood is acquired from large textile mills across the Southeast that are no longer producing goods. Because the bulk of the textile industry has moved overseas, many of these mills which were built during the beginning of the Industrial Revolution, have sat empty for years and are now being torn down. 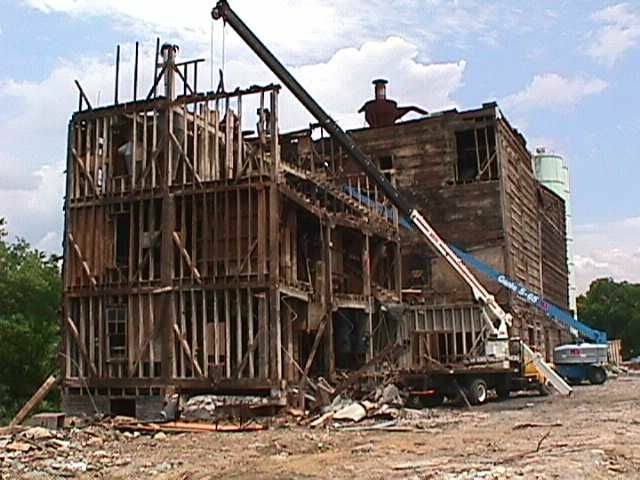 The buildings are dismantled in reverse order from how they were constructed. Once the exterior material, typically brick, is removed, the wood decking is exposed and salvaged followed by the structural beams. Wood acquired from these very large salvage projects are stacked and sold in bulk. Salvaging wood is an extremely labor intensive process. When we salvage a barn or house, we inspect the wood and look for signs of infestation of insects. Infested wood is culled and burned. Each piece of usable wood is then checked, by hand, with a metal detector for nails and any other metal fragments. All metal must be removed from every piece before it can be taken to the mill. The wood is then graded and stacked on pallets. We examine each stack of wood to determine how we can obtain the maximum yield. Wood that has been processed can be taken directly to the mill where it can be re-sawn, planed to a common thickness, straight lined to common widths, and perhaps tongue and grooved to use as flooring. Wood that has paint or stain on the exterior is typically cut to 1/2″ thick and used for colorful skins to maintain the original look that many of our customers seek for ceiling and wall decor. 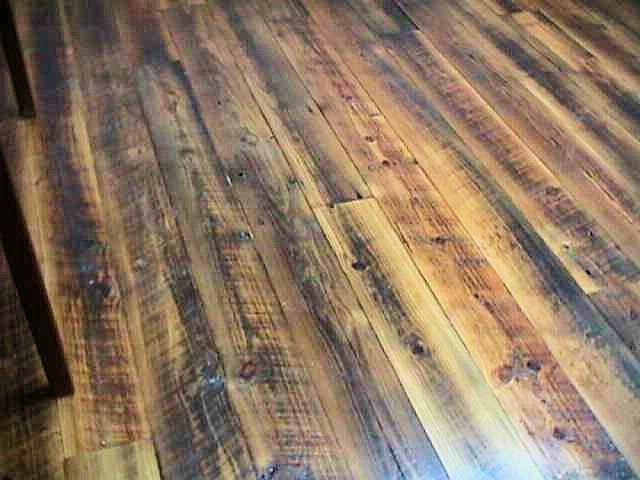 If you are considering wood flooring for your home, engineered wood flooring is certainly less expensive, but cannot compare to the beauty of salvaged wood flooring. Salvaged, antique wood has character that tells a story. It should be considered an investment that adds value to your home. The use of salvage wood also serves a greater purpose. Reuse of these materials directly contributes to the sustainability of our planet. While we have a variety of wood species in our warehouse at any given time, the most sought after wood is heart pine. Residing in the south, the heart pine is more readily available and is an excellent choice for flooring. 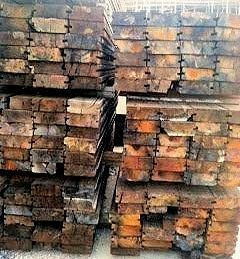 When looking for wood for use as flooring, wall covering, furniture, a DIY project or that awesome rustic beam mantle, stop by our wood warehouse and consider using reclaimed wood for your next project. The warehouse is located at 250 Janeway Drive and open Tuesday – Friday from 9am to 5pm and Saturday from 10am to 4pm. Painting For A Purpose – The Auction Begins! Southern Accents would like to thank everyone who joined us on Saturday, October 5th to “Paint For A Purpose”. We would especially like to thank artist Mellissa Meeks for organizing this fun event which is serving as a fund raiser for Southern Accents new children’s charity. Mellissa pre-sketched two over sized works of art and invited everyone to stop by and add a few brushstrokes! At the end of the day, Mellissa returned to her home in Huntsville, Alabama, taking the two pieces with her. She spent the next few days adding the finishing touches. Both works of art are now back in our showroom and on display. We are accepting bids on each work through October 31st. The first work of art is Mellissa’s rendition of Southern Accents infamous 1955 Chevy. This work which was retitled “Wild Blue Yonder” is painted on a 4′ x 4′ canvas of framed salvaged wood. Current high bid on this artwork is $550. The second work of art titled “Looking Out My Back Door” is a sketch that reflects downtown Cullman, Alabama. 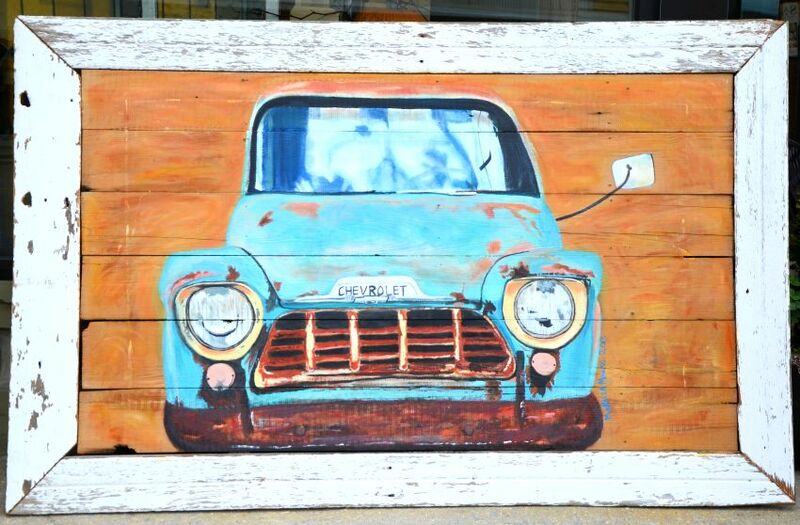 This piece is painted on a salvaged “Shabby Chic” style wood door. The door has a rustic, salvaged ceiling tin panel attached to the top that served as a canvas for the downtown scene. Current high bid on this artwork is $150. Each work of art will be awarded to the highest bidder. ALL funds will go towards Southern Accents newly established children’s charity with funds used to help children in our community who are in need. To place your bids please stop by our showroom during regular business hours, give us a call at 877 737-0554 or e-mail info@sa1969.com. Bids will be accepted through the month of October. Winning bids will be contacted and announced during the first week of November. Both works are currently on display in the front window of our showroom. Southern Accents showroom is open Tuesday – Friday from 9am to 5pm and Saturday from 10am to 4pm. 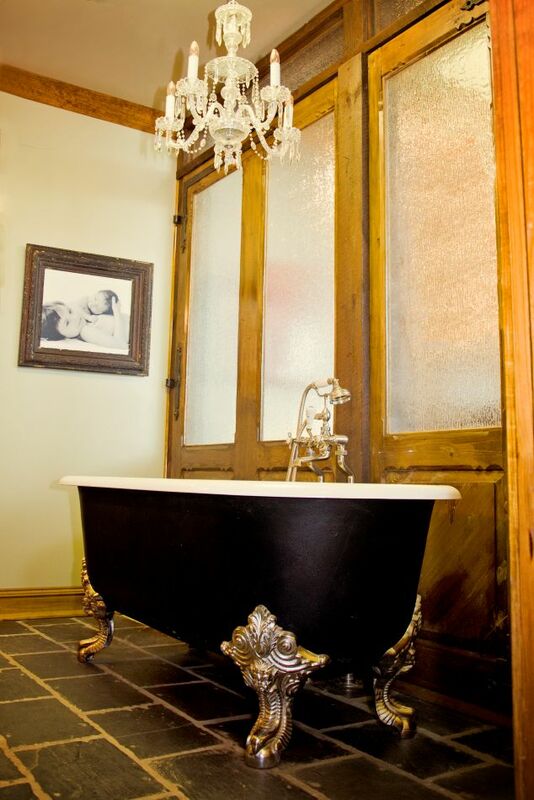 Antique claw foot tubs and bath fixtures present a feeling of luxury and decadence that many of our customers desire. In 2001, Southern Accents began looking for a line of replicated bath fixtures when the demand for the antique and salvaged bath fixtures quickly outgrew our supply of antique products. After much research, we found exactly what we were looking for with Chadder & CO.’s line of high-end, traditional and antique plumbing products. We began a conversation with Chadder & CO.’s owner and designer, Martin Chadder, which lead to Southern Accents purchasing the exclusive U.S.A. distribution rights for this exquisite line. With the purchase of exclusive distributions rights in the U.S., Chadder and CO. U.S.A. was formed. Southern Accents is thrilled to be able to offer our customers a choice when it comes to bath products. By continuing to offer the antique cast iron tubs and sinks, Southern Accents also has access to this high end line of luxury baths which allow us to meet the expanding needs of our customers. One thing that sets Chadder apart is the availability of baths that have the look of the antique cast iron tubs but with improved features afforded from the development of a new material and manufacturing process. 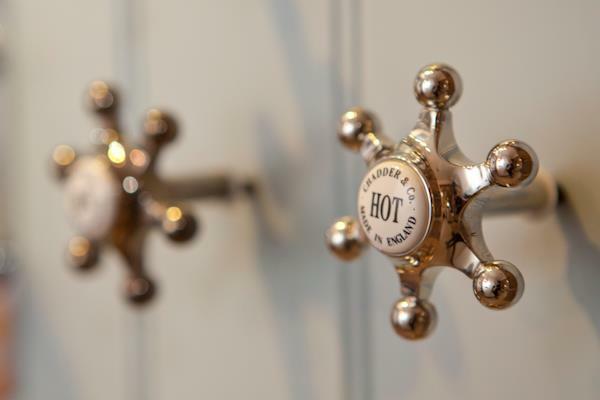 Martin Chadder is recognized as one of Britain’s finest traditional bathroom designers, famed for his cast metal designs as well as his commissioned works. Having close ties to the yachting and marine industry, Martin used developments in marine technology to produce a new material, Chaddite, that provides a sound, solid bath product. The use of this material allows him to manufacture tubs that have the look and feel of cast iron at a fraction of the weight, which allows the tubs to be more easily transported. The Chaddite tubs have a Teflon coating, making them easy to clean. They are also warm to the touch with good thermal properties that better retain the heat in the water. These qualities take luxury bath design and performance to a new level. In addition to the spectacular tubs, Chadder & CO., U.S.A. offers a line of exquisite basins, taps and faucets, mirrors, and bath accessories. Visit Chadder & CO., U.S.A. online to view our expanding line. You can call Southern Accents showroom at 877 737-0554 and speak with one of our sales staff to inquire about any of our products. Come talk to us and let us help you design your new bath! We love history! To be in the business of salvaging architectural antiques and not having a love for history would somehow seem wrong. Our mission statement is, “To promote the preservation of our architectural heritage through rescuing, restoring, and protecting artifacts of historical significance.” When we run across artifacts that have some relation to a known historical event or person, whether documented or not, we get a little giddy! At the very least it peeks our interest and sparks our imagination. 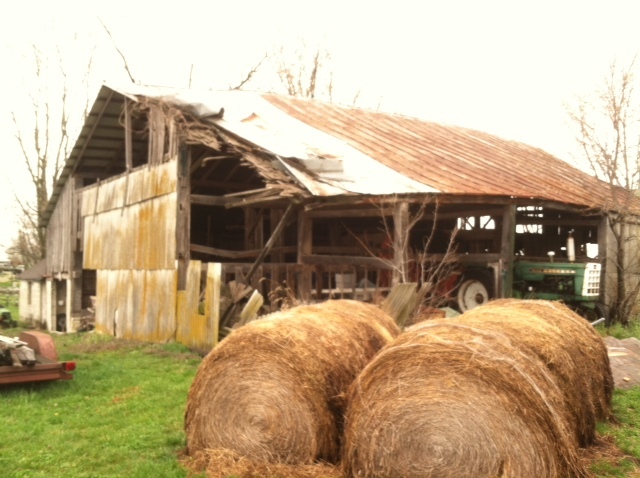 A few weeks ago we purchased a 1815 barn in Rising Sun, Indiana. The wood from this seemingly simple but large scale barn was incredible. The enormous hand-hewn beams used as the posts and beam structural support were some of the best we’ve ever seen. One of the things that we enjoy most about our salvage missions is that most old structures hold a surprise, and on occasion a mystery, that if unlocked holds a treasure! This barn was no exception! 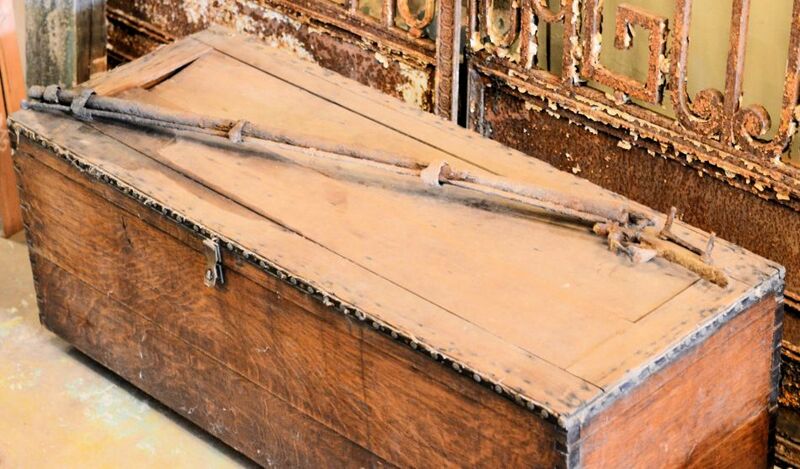 One item that was removed from the barn prior to it being taken down was a large quarter sawn oak chest. We were excited about the chest, but what ignited our imagination was the rumor that Jesse James older brother and fellow gang member, Frank, supposedly hid out overnight in the barn. This alone would have been enough to keep us going for awhile… but there was more! 1815 barn in Rising Sun, Indiana where Frank James supposedly hid out overnight! Once the barn was taken down and all the recyclable wood salvaged, an incredible discovery was made. Beneath the aged floor boards and buried under several inches of dirt, we uncovered an old shotgun! The gun was carefully removed from the ground and wrapped for safe keeping. How did this gun find it’s way underneath the barn? Was it stored there during the Civil War for safe keeping? Could this old firearm possibly have belonged to the notorious Frank James? 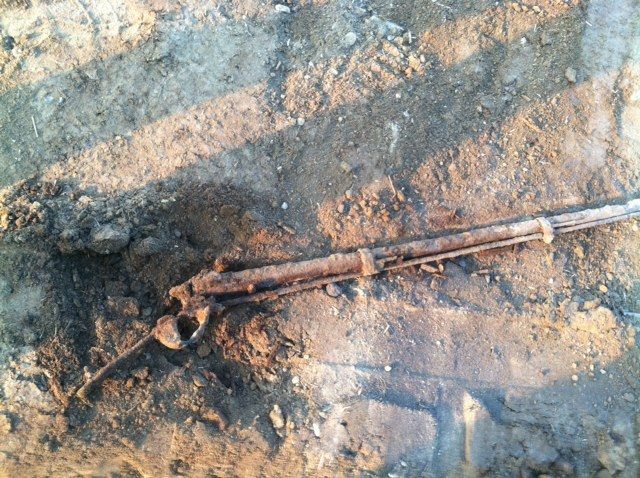 Old shotgun discovered buried underneath the back section of the barn. Frank James was born and raised in Missouri. He was a Confederate guerrilla during the Civil War and is thought to have taken part in the massacre of unarmed Union soldiers. After the war he spent two decades, along with his brother Jesse, as a member of various gangs robbing banks, trains, and stage coaches. Five months after his brother Jesse was shot in the head and killed by one of his trusted gang members, Frank surrendered to the then governor of Missouri. Although history records that Frank was known to be involved in numerous criminal activities, he was only tried for two robberies/murders. His first trial was held in Missouri. The second took place in Huntsville, Alabama, where he was tried for the robbery of a United States Army Corp of Engineers payroll in Muscle Shoals. Frank was acquitted of both crimes because of the “Robin Hood” status he had gained by common folks who applauded his crimes against the ruthless banks and railroad companies. Prosecutors were unsuccessful in finding jurors willing to convict Frank of any crime. Frank lived out his last 32 years working odd jobs, never again firing a gun. Rising Sun is located on the Indiana – Kentucky border. Frank and Jesse’s mother, Zerelda, was from Kentucky so it is quite plausible that Frank would have traveled through that area at some point. The barn was erected in 1815, well before Frank began his life of crime in the mid 1860’s, so it certainly would have been available for that overnight stay. Supposedly Frank left the barn in the wee hours of the morning shortly before a posse arrived to search for the wanted man. This rumor has been circulating in the Rising Sun area for well over 125 years. It is doubtful that we will ever know the true owner of the firearm or why it was buried beneath the barn. In the mean time… we will hold on to the gun believing that it is an important piece of our American history and will continue to allow our imaginations to freely wander! The guns wood handle has almost totally disintegrated over time. The quarter sawn oak chest is in surprisingly good shape. It has the original push pins that once secured an upholstered top. The oak chest is currently for sale and on display in our showroom. We recently ran across an article on the exploits of Frank and Jesse James written by Buford Parker and published in The Source Historical and Adventure magazine. We’ve added a copy of the article to this post as an additional resource. You can read the article HERE.